For many, it feels like there’s an overwhelming amount of things to think about! In all honesty, taking control of the important things in life make us feel good. You know it's the right thing to do for you and your family. - Give your Executor a copy of your Will. Safety deposit boxes are often opened up during the estate settlement process, long after the individual's death. Any service planning documents therein can be of no help to your executor. - Make sure your representative has a list of important account information or telephone numbers for retirement plans, insurance policies, investments, bank accounts, safe-deposit boxes, properties, preferred law and accountant firms and mortuaries. Remind your personal representative that WE NOTIFY the Social Security Administration, and if you're receiving benefits from the Veteran's Administration, they should be contacted as well. 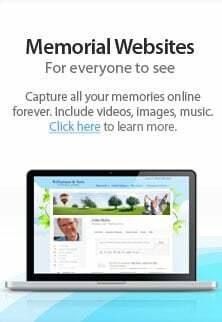 - Designate a personal representative with the express authority to authorize cremation and dispose of your cremated remains. This is imperative if you are estranged from your family OR have no legal next of kin. You can also contact us for additional information. We're pleased to answer any questions you may have, without any obligation. We are pleased to act as a resource for anyone who can benefit from our many years of experience and expertise.